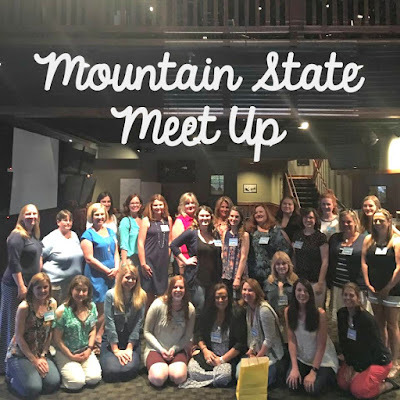 Brynn's Teacher Bag: Mountain State Meet Up & A GIVEAWAY! been to a teacher-blogger meet-up so I wasn't quite sure what to expect. I had heard that it was a great way to connect with teachers who live close to you, so I couldn't resist. 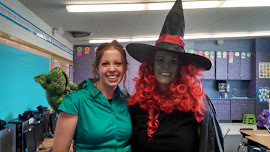 As you can imagine, where there are teachers, there is fun, chatter, and friendly faces. I was the only teacher from Utah there, but I'm hoping to talk more into coming with me next year! We met at The Fox and Hound, a restaurant in CO. We started by mingling and talking with other teachers. We also got to go around to the hosts of our meet-up and talk about social media, TPT, blogging, and some of the strategies we have found that work. We talked about Pinterest, which is where you need to be, if you aren't already. Promoted pins are where its at, and in my experience, you will see serious return on this investment. We also talked a lot about Instagram. This is my favorite form of social media because I am very visual. We talked a lot about lighting, posting pictures with the same filters, and really thinking about who your audience is before posting. While mingling and eating our lunch, the hosts did a drawing for so many fabulous prizes! I was fortunate enough to win two prizes! I received a TIEKS gift card (if you haven't heard of Tieks, Google it right this instant) and what I hear is the best pencil sharpener in the world, from Classroom Friendly Supplies! There were so many generous companies that donated to our meet up. The prize table alone will make you wish you were there! Thank you to all our donors: GoNoodle, Steve Spangle Science, Seat Sack, Aussie Pouch, Classroom Friendly Supplies, planbook.com, ESGI, Teachers Pay Teachers, Educents, Tallahassee Sunday, C. Jayne Teach, Love & Logic, Heidi Songs, Hue, Fiskars, Sit Spots, Back to the Roots, Syllabuy, KORE, The Wright Stuff Chics, Tieks, Touch Math, L Paull Designs, Science 4 Us, Erin Condren, Scent Co, and Pencil Grips Inc.
Now that you've seen all the cool loot, you have a chance to win some "loot" yourself! You could win a subscription to planbook.com and/or a bag from our meet-up with all sorts of goodies that will make your teacher heart happy! Good luck to you! I would highly suggest finding the meet-up nearest you and connecting with other fabulous teachers. Thank you to Ashley, Kristin, Nichole, and Lori for planning the meet-up and making me feel right at home!